This is Suzhou-style mooncake to celebrate Chinese Mid-Autumn festival, made with delicious nuts and seeds filling in puff pastry wrap, a great combination. 6) ½ cup + 3 tbsp unsifted cake&pastry flour (97g), ¼ cup corn oil (53g). 7) ½ tsp red food colour. 1: Heat ¾ cup flour in microwave oven at high for a minute and stir. Then heat for another 45 seconds and stir well. Transfer the flour and all other ingredients of Ingredient 1) in a medium size bowl, and combine with a fork. Add in corn oil and mix well (Picture 1). Divide into 12 equal portions and form into balls with both palms. Set aside (Picture 4). 2: Combine all ingredients of Ingredient 3) in a container, and mix well. Add in all ingredients of Ingredient 4) (Picture 3) to form soft dough. The dough can be quite sticky. Add 2 tsp flour and knead to form smooth dough (Picture 4). Cover with a damp cloth and let it stand for 20 minutes. 3: Combine all ingredients of Ingredient 6) in a small container (Picture 5). Mix well with a spoon (Picture 6), then cover and set aside. 4: Rub some corn oil on both hands and on working surface. Knead the dough a few times and divide into 12 equal portions. Roll out each portion into an oval about 10 cm long, and smooth on 1/12 of oil paste (Picture 7). Fold the dough twice: fold the bottom third up and the top third down (Picture 8). Turn 90 deg., press down and roll out into a 4×12 cm rectangle (Picture 9). Again, fold the bottom third up and the top third down (Picture 10). 5: Roll the dough out into a 12×16 cm rectangle (Picture 11). Fold from left to right to form a slender roll (Picture 12). Roll from bottom to top into a ball (Pictures 13 and 14). Cover with food wrap while working on the remaining 11 portions. 6: Press down the dough ball and roll out into an 8 cm circle. Place one portion of filling on top (Picture 15). 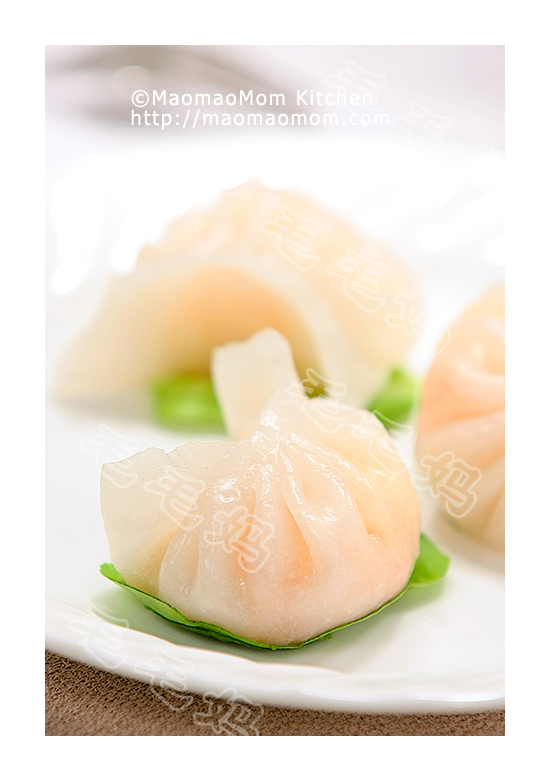 Carefully work the dough up to cover the filling and seal on top (Picture 16). Place it upside down and gently press down to 2 cm thickness (Picture 17). Repeat for the remaining 11 portions. 7: Preheat oven to 375F, place 12 pieces on a parchment paper lined baking sheet. Use a chopstick to stamp on some red colour (Picture 18). Bake for 20-22 minutes, cool before serving. 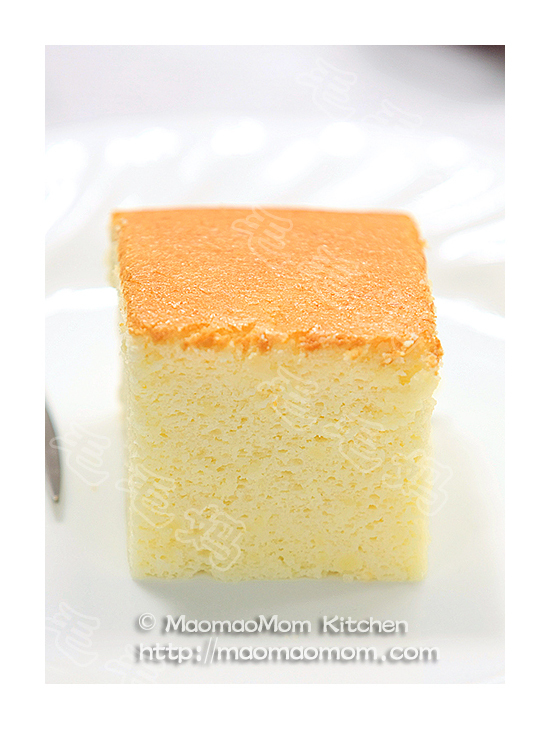 Tips：Leftover mooncakes can be stored in airtight containers in the fridge for up to 4 days or in the freezer for up to 3 months. Prior to serving, microwave for 40 seconds then bake at 350F for 6 minutes. 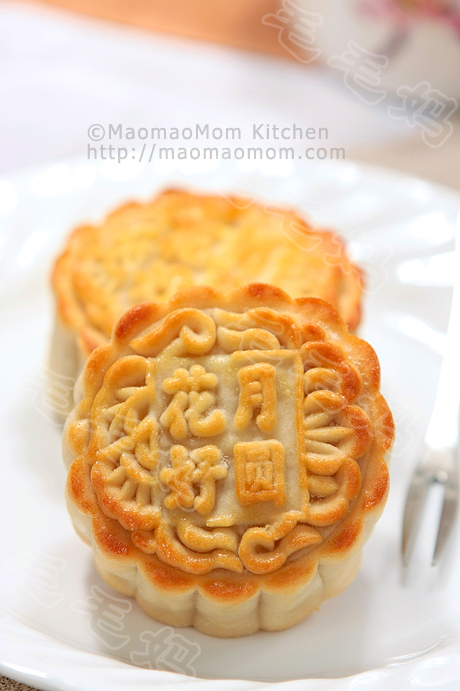 This entry was posted in Dessert, 点心, 特色小吃 and tagged Black Sesame Seeds, Cashew Nuts, Chinese Mid Autumn Festival, Corn Oil, Cup Corn, Cup Flour, Delicious Nuts, Fine Sugar, Food Colour, Medium Size Bowl, Microwave Oven, Mid Autumn Festival, Mooncake, Pastry Flour, Puff Pastry, Purpose Flour, Sechuan, Smooth Dough, Sun Flower Seeds, Tsp Flour. Bookmark the permalink.